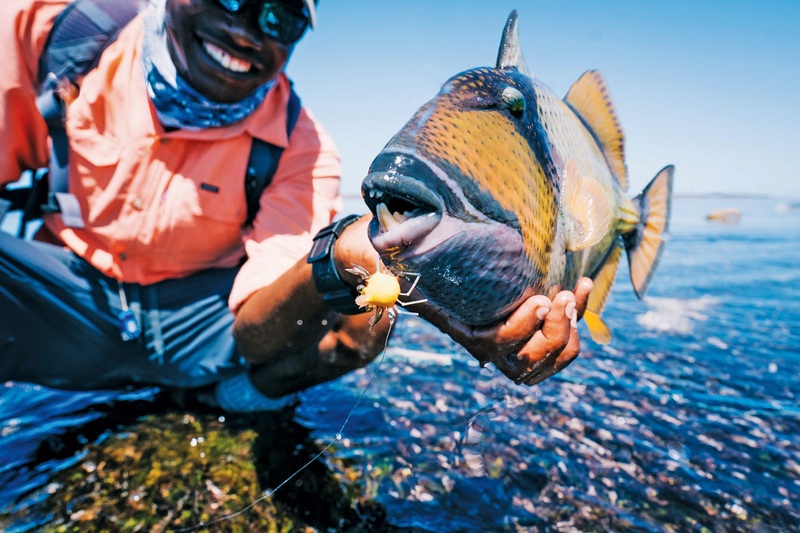 The Best Flies to Land Triggerfish - Alphonse Fishing Co.
It’s time to get Trigger-happy as we take a look at the best flies to target Triggerfish (on the fly). 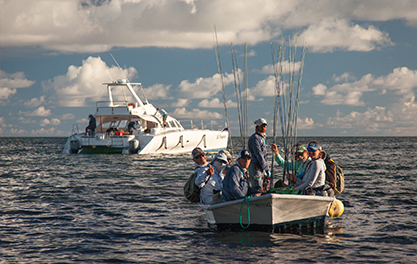 At Alphonse Fishing Co. there are 3 main species of Triggerfish that we target, namely the Yellow-Margin Triggerfish, Moustache Triggerfish and the Picasso Triggerfish. All 3 species are found on the shallow reefs and flats, and are equal parts beauty and challenge! This is a very realistic crab-looking fly. It has a relatively solid and rigid structure to hold the Triggerfish once it has been pounced on, because as we all know Triggerfish like to put up a serious fight. 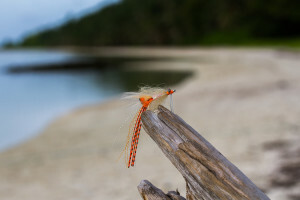 A general rule of thumb is to use olive or tan colours when fishing darker bottoms and white or lighter colours when fishing over sandy bottoms. This fly has been around for ages and for good reason it works! It can be tied in various colours and weights to best entice the target. 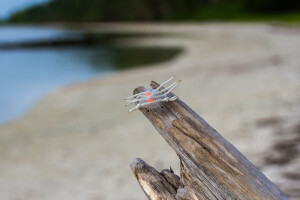 A Spawning Shrimp tied with a lightweight bead chain eyes is ideal for super shallow tailing Triggers and makes for a more delicate presentation when targeting these initially skittish fish. 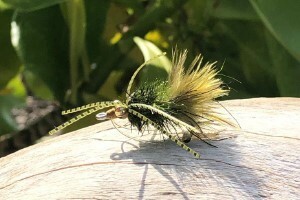 This fly is a fairly new addition that should be added to any avid Triggerfish enthusiast’s fly box. It is a slightly bigger fly with lots of rubber legs and protruding eyes which gives it lots of movement when being retrieved. As Triggerfish are very aggressive by nature, this bigger pattern will entice a more aggressive eat. 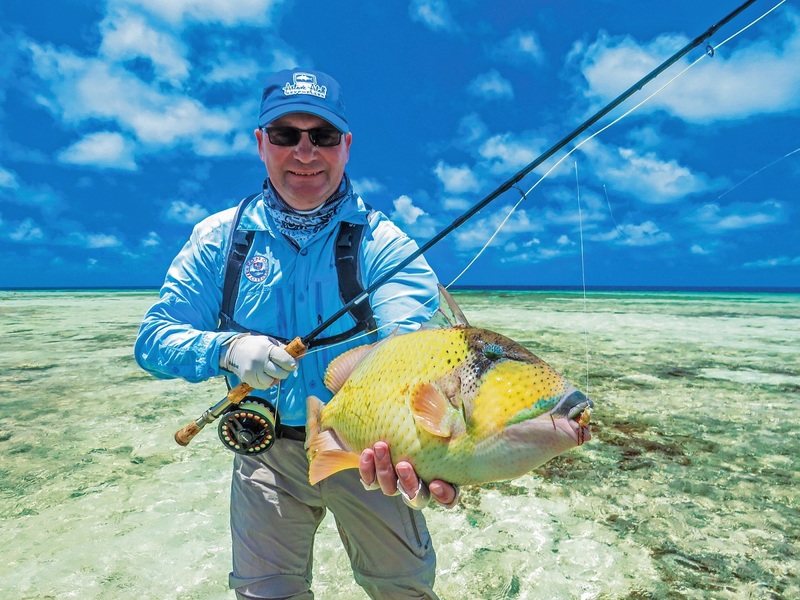 There you have it – the best flies to target Triggerfish. 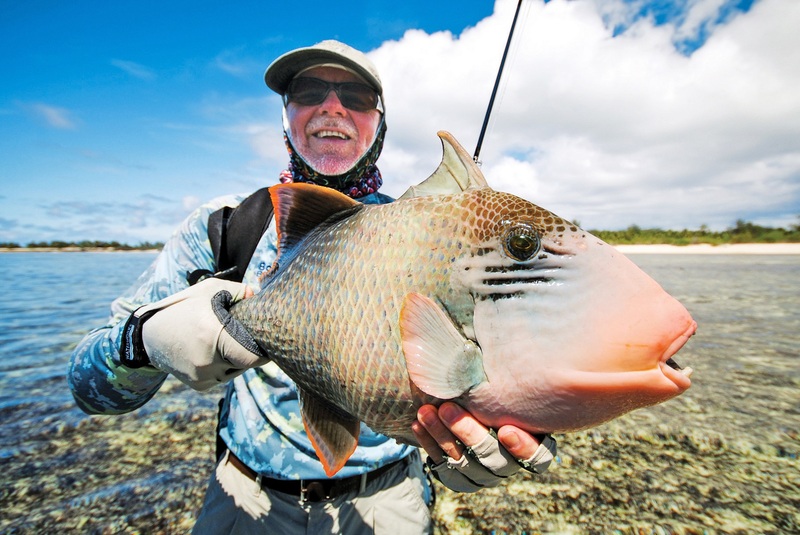 For more tips on gear and technique you can also have a look at Fly Fishing for Triggerfish.